Dr. Irving "Eipigh" Pascal, Dominica's sole Ear, Nose & Throat (ENT) specialist will no longer be able to perform operations at the Princess Margaret Hospital (PMH), the country's major health institution. Dr. Pascal said two months after reaching the official retirement age he was booted out of the system and he can no longer use the facilities at the Princess Margaret Hospital (PMH). "I have friends (who are) doctors who after retirement have contracts and are still using the hospital and theatre," Dr. Pascal said. "I had a legitimate expectation of using the theatre and so I have people booked to have surgery. All I know I can't tell them to come to the hospital to operate on them," he said. "I am a medical professional; it means I can't practice since half of my expertise is surgical because I operate on people's noses, ears and throats; so if I can't do that, then where am I?" Dr. Pascal says the Government of Dominica has since brought in an ENT specialist from Cuba to replace him. Dr. Pascal argues that he is being victimized because he has been vocal about his concerns of Dominica's health system. A few years ago, following an article that Dr. Pascal published in The Sun, Prime Minister Roosevelt Skerrit unleashed a salvo on Dr. Pascal in Parliament. "I find it strange, Madam Speaker, that a doctor who works here, I see him criticizing the hospital management… you are the one paid by the taxpayers to give better health care, so if you are criticizing the Ministry of Health or the hospital, you must hold yourself responsible… Eipigh," Prime Minister Skerrit said. 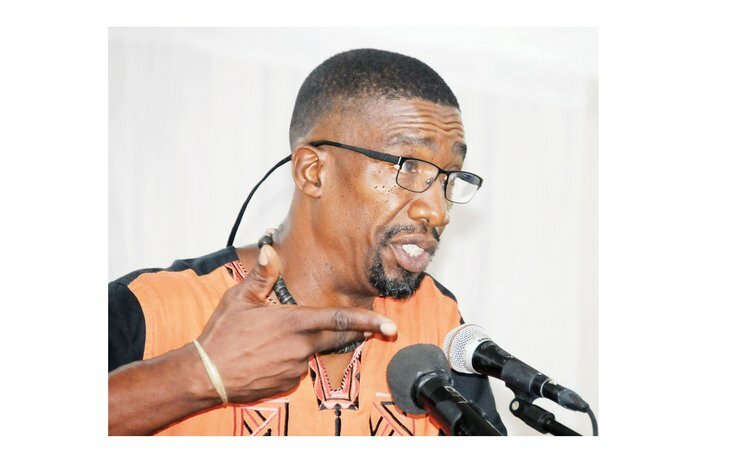 He added: "Madam Speaker, anyone who supports the opposition United Workers Party (UWP) is a dishonest person and a bunch of modern day pirates who have no interest in Dominica." Dr. Pascal later said that he feared for his life and because of his stance he has become a target of the Skerrit administration. "You can see the pattern from 2014 to now," Dr. Pascal said. "That is why I have said and continue to say the provision of quality health care in Dominica is not being addressed by this administration and they seem to thrive on bullying, tyranny and intimidation of those they can't control. "Look at the pattern over the years…who is next? You are trying to destroy professionals in Dominica, it's clear. I have been around for 20 years. I just can't turn a build eye on this…it is a bigger issue than me; it's not about me, I am not that important. I am collateral damage to a bigger cancer we have going on. "It must also be noted that most of the ENT equipment at the PMH belongs to me personally. I bought them. If these things continue then I will have, or may have, to do something because I will need them. How do you deny patients the right to who they must go to and deny them the care? Providing health care in much more than writing a prescription". When contacted for comment, Medical Director Dr. Ruby Blanc said: "As a public servant, I am not allowed to speak to the media. Call the Ministry of Health, and speak to the Chief Medical Officer and the PS in Health." Following up on Dr. Blanc's suggestion, Chief Medical Officer (CMO) Dr. David Johnson was contacted for comments on the Dr. Pascal issue. Dr. Johnson promised an interview at a specific time but afterwards he did not take calls at the time he arranged nor did he return calls to our reporter. All efforts at reaching Health Minister Dr. Kenneth Darroux for comments were unsuccessful.